Each year the ILR welcomes scholars from around the world to pursue research interests in industrial and labor relations. The following international scholars are conducting research at the Worker Institute during 2013. 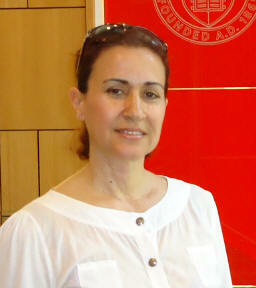 Professor Berrin Ceylan-Ataman is Professor at the Faculty of Political Sciences at Ankara University. Her teaching and research interests are in Labor Economics and Industrial Relations. She teaches Labor Economics, Employment and Unemployment at the undergraduate level, and European Union (EU) Employment and Social Policies at MS and PhD levels. Professor Ceylan-Ataman is widely published on EU issues, especially on the relationship between EU and Turkey on the economic and social aspects. She is currently leading a Jean Monnet Project at Ankara University entitled, European Module: Social Policy in the European Construction Process supported by the European Commission (Brussels). She developed and implemented this project as a Jean Monnet professor in the Research Center of European Studies of Ankara University. At the ILR School she is participating in seminars and conducting research on a number of topics in Labor Economics. Her main focus of research in the United States is a study of the American labor market and social policies. The findings will be used in order to compare the U.S. and EU policies. Using information gathered, she plans to write a Labor Economics textbook in Turkish when she returns home. 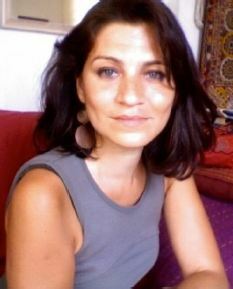 Faculty Sponsor: Lowell Turner, Ph.D.
Background & Previous Experience: Paula Cristofalo is a Postdoctoral Fellow in Sociology at the University of Paris Est Créteil where she has worked on the ZOGRIS project of "Evolving Employment Norms and Emerging Forms of Inequality: Towards a Comparison of Gray Zones" since April 2012. She has a Ph.D in Sociology from the University of Paris-Ouest Nanterre where her dissertation discussed "Trade Unionism and Expertise: the Institutionalization of a Milieu of Experts towards Workplace Representatives (from 1945 until now). In her most recently published peer-reviewed journal article, she and Karel Yon, Ph.D., discuss the practical meaning of the shift from "worker education" to "union training" within the French Trade Union CGT-Force Ouvrière. Paula has also published extensively and written several book chapters related to trade unions and industrial relations. Research at ILR: At the ILR School, Paula intends to study US literature on labor expertise and "strategic organizing", particularly the role of academics and private consultants to assist labor unions in the area of health and safety conditions at work. Background and Previous Experience: Claude Didry is Senior Researcher and Director of the CNRS unit (French Center for Scientific Research) at Institutions et Dynamiques Historiques de l'Economie (IDHE), in Paris, France. His research, using an institutional perspective, focuses on industrial relations and labor law issues at French and European levels. He has studied the juridical debates in their political and sociological background, at the origin of the legal categories framing labor relations and collective bargaining in France, at the beginning of the 20th century. In this perspective, labor law is not only a protection against abuses, but is the base for defining the object (work) and the actors (worker and employer) of the labor relations. Didry devoted a part of his research activity to firms' restructuring processes in France and in Europe, showing the implication of the works councils through legal actions and an evolution toward more negotiation between unions and employers. His recent publications include L'entreprise en restructuration: Dynamiques institutionnelles et mobilisations collectives (2010 with A. Jobert) and Renewing Democratic Deliberation in Europe. The Challenge of Social and Civil Dialogue (2012, with J. de Munck, I. Ferreras and A. Jobert). Didry completed his PhD in Sociology from the École des hautes études en sciences sociales (School for Advanced Studies in the Social Sciences) in France. Research at ILR: Didry will spend the majority of his time at ILR conducting research at Bell Laboratories, a subsidiary of the French-owned Alcatel-Lucent. His research will focus on workers as it relates to the international division of labor and issues with the unionization of engineers. While at Cornell, Didry also hopes to strengthen the relationship between researchers at Institutions et Dynamiques Historiques de l'Economie and ILR, as well as explore exchange opportunities for both students and faculty, as he believes there are a lot of common interests between the two institutions. His interest in ILR comes from the School's interdisciplinary approach to labor relations and international relations. Didry is also looking forward to exploring Ithaca and the surrounding region during his stay. 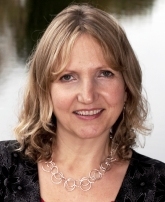 Background & Previous Experience: Professor Gill Kirton is a widely published, leading British researcher in the field of employment relations, organizational equality, and diversity. One strand of her research has explored unions' gender equality strategies in the context of union decline and the revitalization project. One of her most recent projects is a comparative investigation of women's leadership in American and British unions working with colleagues at Cornell University and Rutgers University. Professor Kirton has published numerous refereed journal articles, book chapters, and five books. She sits on the editorial boards of two major journals in her field: Gender, Work and Organization and Equality, Diversity and Inclusion. She convenes the Gender and Industrial Relations Study Group of the International Labour and Employment Relations Association, which is a group that works to increase the visibility of women in industrial relations research. Research at ILR: Professor Kirton is working with Professor Lieberwitz and Dr. Sally Alvarez on outputs from the comparative research project (UK/USA) funded for two years (2008-2010) by the prestigious UK-based foundation, The Leverhulme Trust. A book to be published by Routledge late in 2012 is in press. The book looks at the impact of women and feminism on the union movements in both the US and UK. As a part of the research for the book, Professor Kirton and her colleagues ran a cross-national exchange program where 10 female union leaders from the US and 10 female union leaders from the UK met to discuss their work, interests, issues they have come across, and their strategies for overcoming various obstacles in their careers. This exchange also developed into an e-network for the women, and thus was not only academically successful, but also made a positive impact in the lives of the female participants. Lastly, Professor Kirton is also working with her colleagues on several refereed journal articles and conference papers from the project and two of the most recent appear in Human Relations and the British Journal of Industrial Relations. Background and Previous Experience: Ian completed his PhD dissertation in Political Science at York University in Fall 2011. His interests of study are political economy, urban planning and labor geography. Ian comes to Cornell with a two-year postdoctoral award from the Social Science and Humanities Research Council of Canada. Research at ILR: Currently at ILR, his research is looking at how unions in the city relate to other urban actors – including firms, community organizations, local government and regulatory bodies – as a means of promoting economic growth in directions that are consistent with their role in collective bargaining. Ian's research will identify the transformations in industry structure, industrial relations practices, firm location and settlement patterns that challenge unions to engage in urban governance on this basis. The research will trace out the strategies that unions pursue within growth regimes as extensions of their traditional role in collective bargaining. Ian will also evaluate the effectiveness of these strategies in terms of promoting unionized employment, raising wages and benefits, establishing wage and benefit floors in unorganized sectors, and steering investment towards 'high road' trajectories that meet broader social policy objectives such as decent employment, quality public services, skills and career development, and livable cities. He will furthermore evaluate the limitations of these strategies from the perspective of trade unionists as they construe their interests variously not only as workers and union members but also as urban residents with plural identities and from the perspective of social policy. The comparative nature of the study - with Toronto and New York as case studies - will seek to identify how the institutional particularities and trade union traditions that differentiate the Canadian and American cases relate to divergent outcomes, and establish best practices for application in other urban areas. 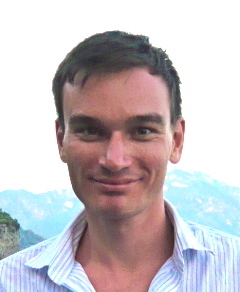 Background & Previous Experience: Karel Yon is a CNRS researcher at Ceraps, the Lille Center for European Research on Administration, Politics and Society, University of Lille, North of France. After studying the organizational culture of the French trade union Force ouvrière, he co-directed research on labor education and union training, which is intended to understand the joint making of union activists and ideologies in the French labor movement. He has also achieved collective research for the French Ministry of Labor about the consequences of the 2008 reform of trade union recognition on union practices. He is now part of a collaborative project between academics and unionists which intends to draw public attention on the problem of state and employer repression against labor activism. Karel has taught various courses in sociology and political science including the sociology of trade unions and industrial relations at the Universities of Lille and Lyon. Research at ILR: At the ILR School Karel visits as a Fulbright fellow and he intends to study labor organizing in the US, particularly the role actors from outside labor unions (academics, private consultants, social movement activists) play in defining legitimate repertoires of unionization. The history of the ILR School, and the recent launch of the Workers Institute, will thus be at the heart of his research activities.